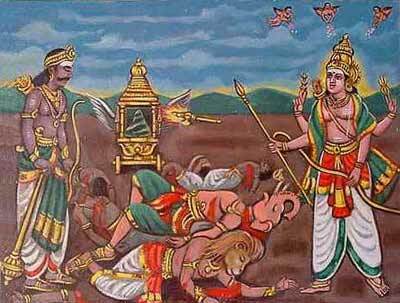 The advent of Shanmukha and the chastisement of the asura in his three manifestations of Surapatuman, Singha-mukhan and Tārakan, which are but the three evils in man Anava, Māyā, and Kanma and the extermination of these evil forces is yearly celebrated by the Skanda Shasti festival in the month of Aippasi in October-November. The festival at Tiruchendur is of six days, commencing on the sixth day of the waning moon of the month, as in every celebration of it in the Tamil land. The events leading to the vanquishment of Surapatuma are demonstrated on the seashore on the evening of the Sashti-day by actual representations of the several transformations of the asura and of his defeat every time. Senthil Nāyakar the processional deity officiates for Arumukha-Nainar in this festival, and receives worship at the Tiruvāvaduthurai Skanda Sasti Mantapa. 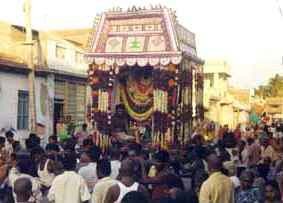 The annual Tirukkalyāna festival to Teyvayānai is celebrated the next day after the Soora Samhara in the Tirukkalyapa Mantapa of the Melagopuram.  On such occasions, the people fast for all the six days and the Skanda Puranam is read and explained with solemnity, in temples and also at times in private houses. Such reading is deemed efficacious, apart from spiritual benefits, in warding off or alleviating disease and danger and bringing good fortune to the bhaktas of Muruga is general.